Above: different suit symbols from different parts of the world. How did they evolve? Cultural diversity & localisation. Why did countries change suits/decks/card size/games/etc. as they adopted playing cards into their own culture? The idea of suit symbols may have originated with Chinese Money cards. However, the suits that made their way into Europe were probably an adaptation of the Islamic cups, swords, coins, and polo sticks. As Europeans didn't understand what the polo sticks were they reassigned them as batons and they became what we know today as the Latin suit-signs. These were used in Spain and the Iberian peninsula and Italy until French card makers had a brilliant commercial coup of inventing the French suit-signs which are much simpler to reproduce. Meanwhile, by the end of the fifteenth century, playing cards had spread over most of Western Europe. 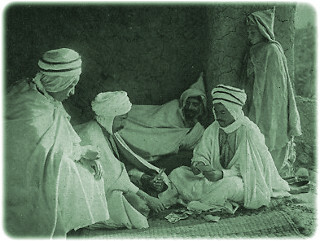 The diverse cultural contexts and printing techniques led to a diversity of playing card types and styles. Stereotyped designs peculiar to particular regions evolved and became standard patterns. But the combinations of court hierarchy and suit symbols were not always stable or uniform. In some cases we see Kings mounted on horseback, in other cases seated on thrones. Some packs contained Queens and attendants, others preferred horsemen and foot soldiers. Some packs had additional trump cards or five suits. In some regions the suit signs were somewhat fluid and included everyday objects, animals, helmets, hunting equipment or flowers. Packs are known with suit symbols such as: roses, crowns, pennies and rings or bells, hearts, leaves and acorns. 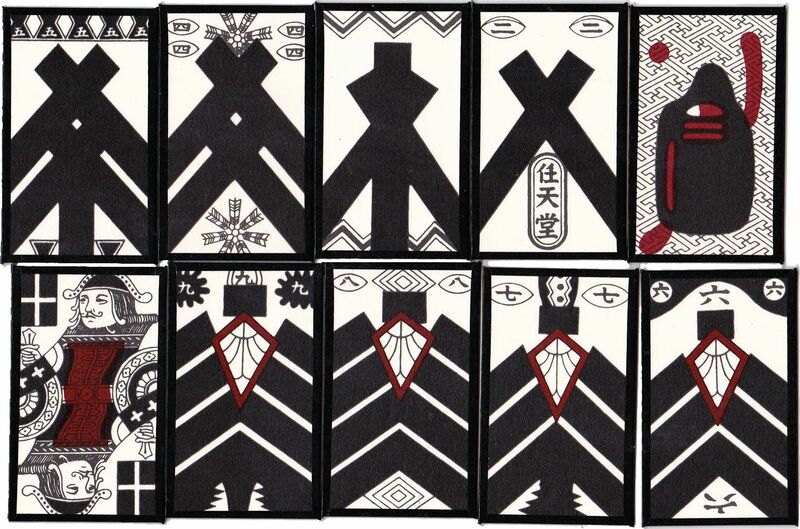 Above: different local interpretations of the generic idea of a 'King' in playing cards. We do not know precisely why this happened, but we can speculate that different cultural, artistic and iconographic traditions, contrasting feudal, aristocratic or imperial court hierarchies, conservative or liberal tendencies, the migration of craftsmen as well as the exportation of artisanal goods and crafts to other markets, even linguistic influences and fashions in clothing, all played a part in how the pack of playing cards evolved and was adopted in different regions. 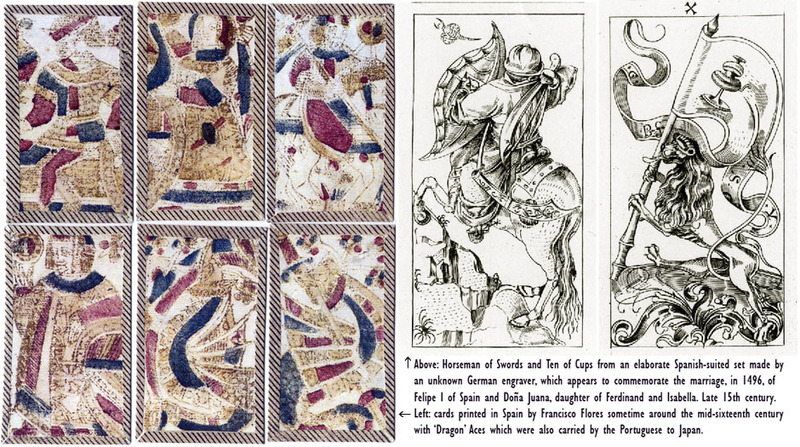 For example, 16th century Portuguese mariners introduced their latin-suited 'Dragon' playing cards into Japan. They were subsequently banned in a prohibition of 1648 but they re-appeared in disguised forms and evolved into several variant types (see example). 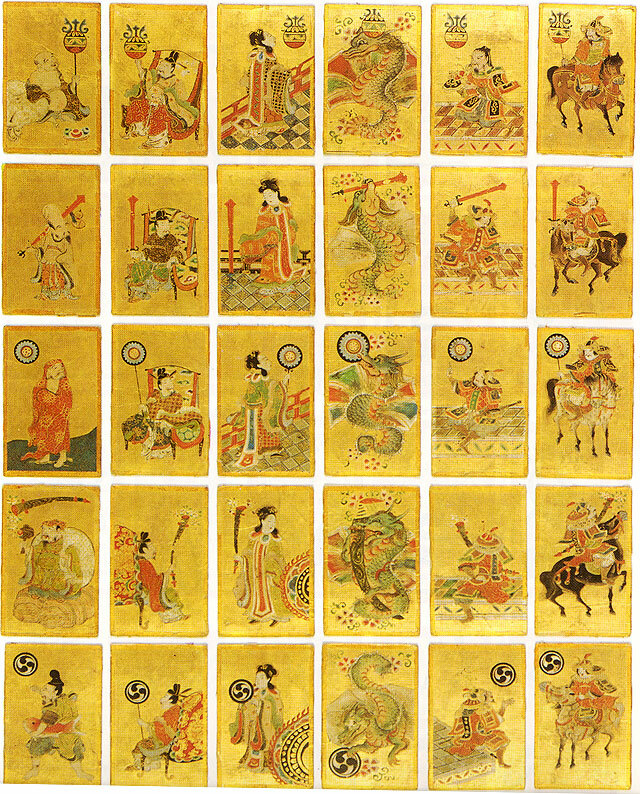 The dragon on the Aces was adapted by the Japanese in Unsun karuta, and by the Javanese as well, whilst the name for the cards, karuta, is derived from the Portuguese. 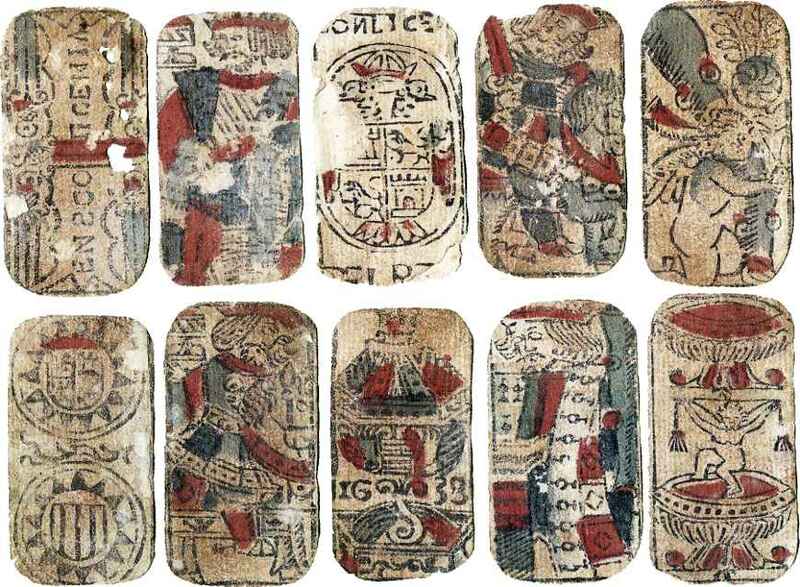 Similarly, the native American Indians made cards with their own interpretation of Spanish suit symbols based on those used by Spanish sailors and kept them even after French-suited cards had arrived from Europe. As a third and final example, it is known from several sources that cards were exported at an early date from Germany to Italy, packed in barrels. Late 15th century German cardmakers produced Italian and Spanish-suited cards in the new technique of engraving, in an elaborate Gothic style, which were exported to foreign markets and influenced local production in those places. To summarise, first came the Latin (Spanish) suit systems, which are still employed in Spain and the Americas, Italy, the Philippines, some parts of France and North Africa. The courts were probably all-male to begin with, but female pages and queens were soon introduced. Germanic suit systems (including Swiss) evolved after a period of experimentation with different combinations of suits, and finally the French suit system was invented as a technical innovation in which the numeral cards were simplified, and which has become the most widely-used suit system around the world.